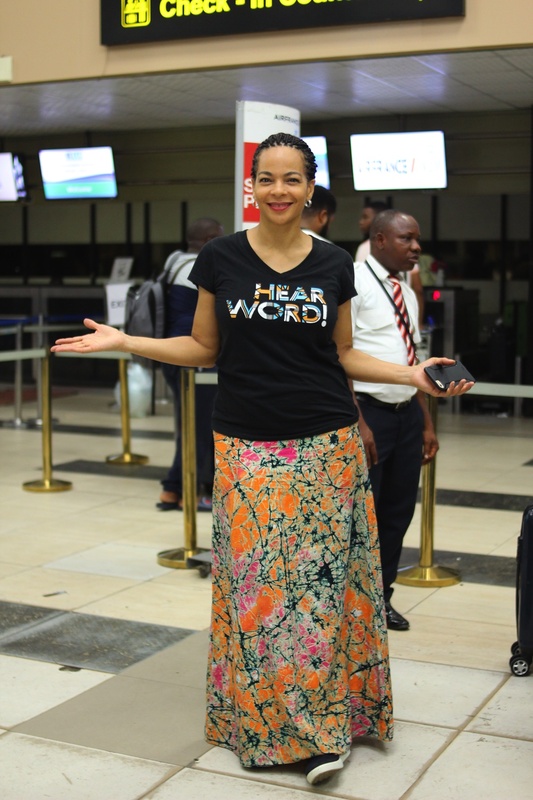 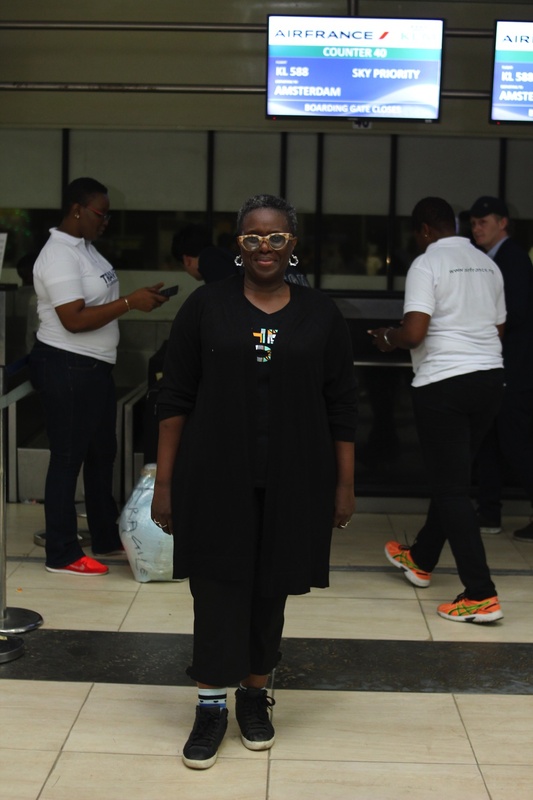 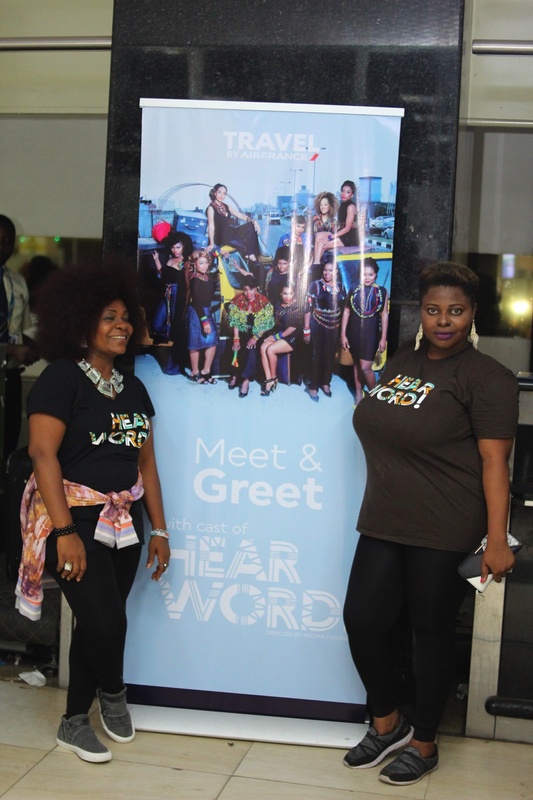 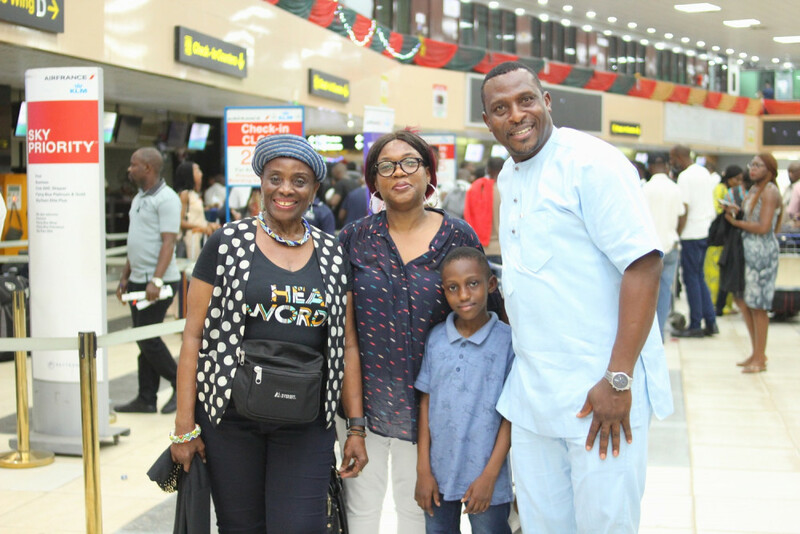 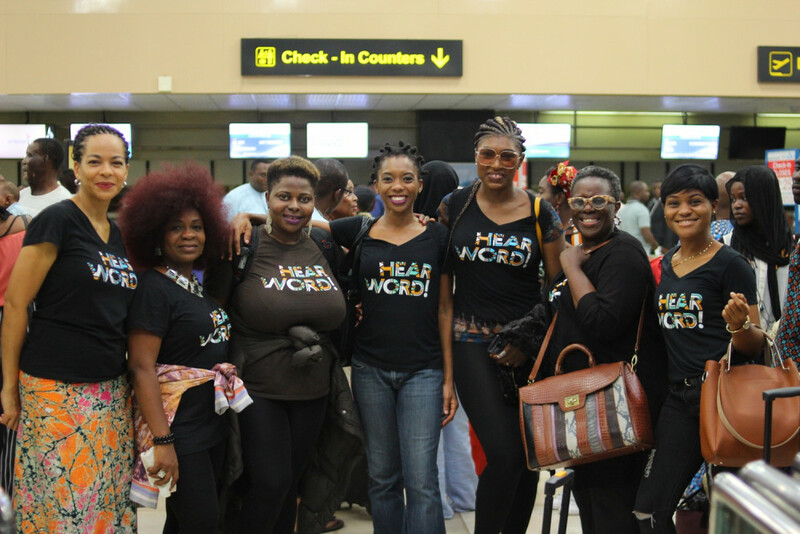 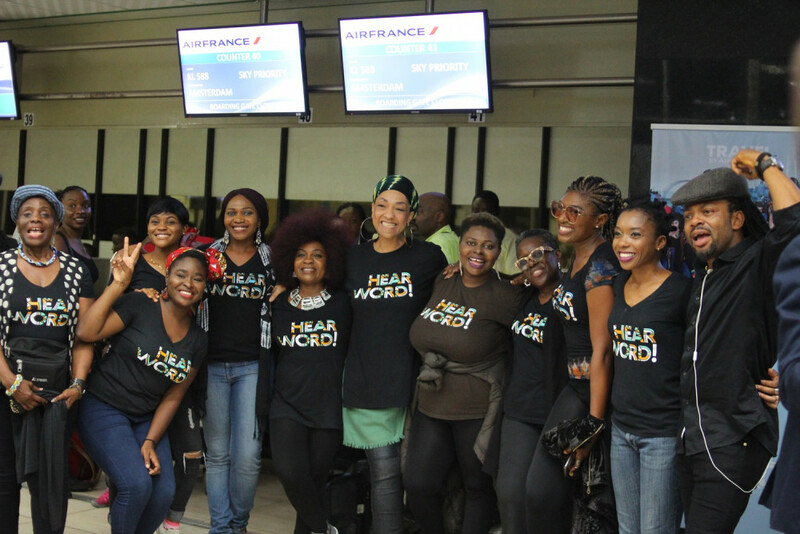 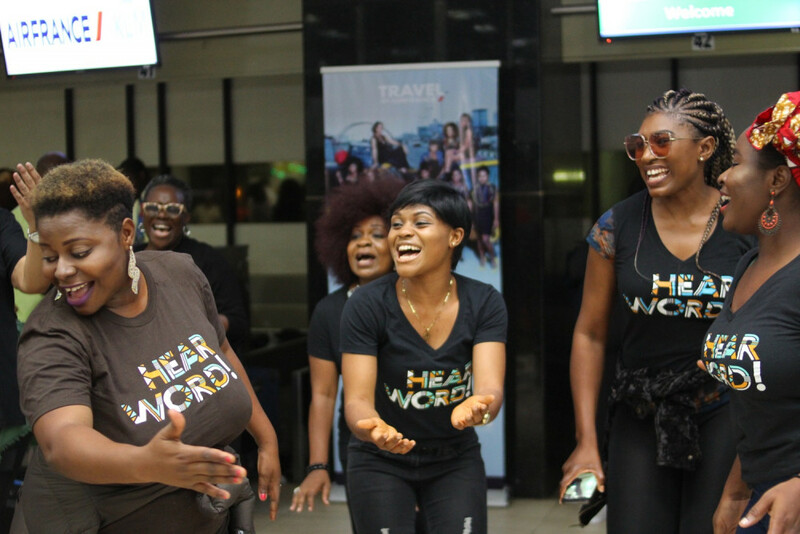 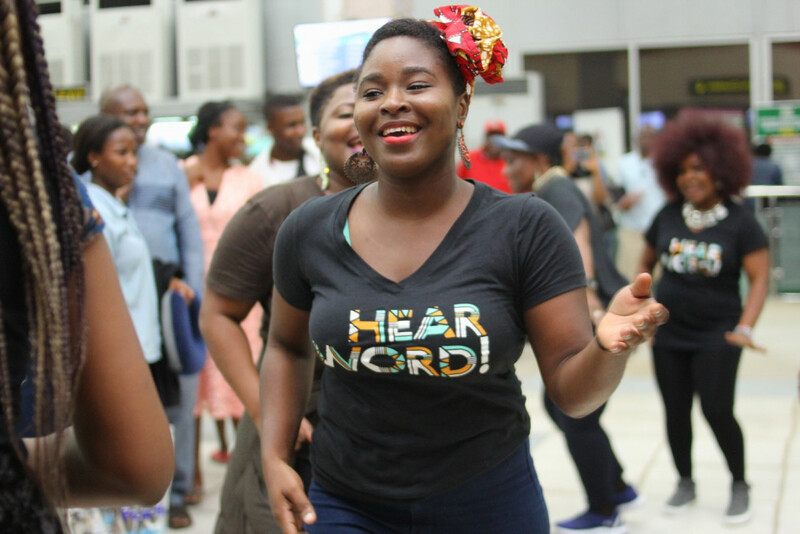 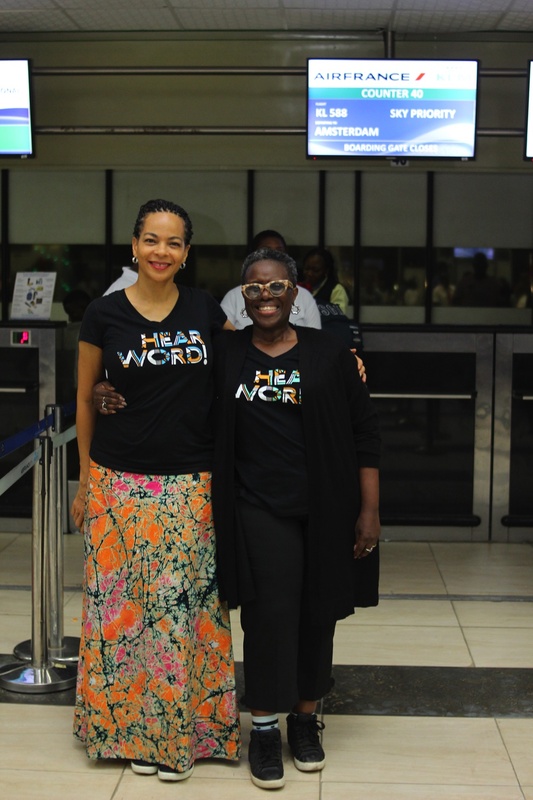 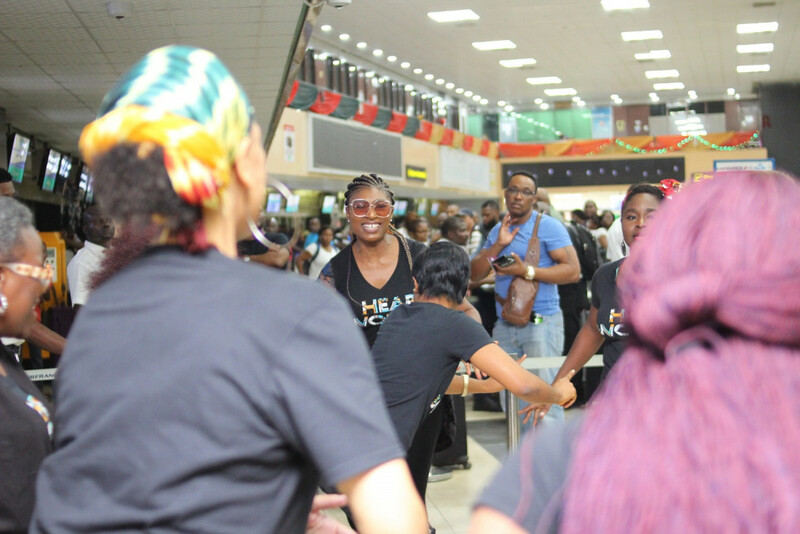 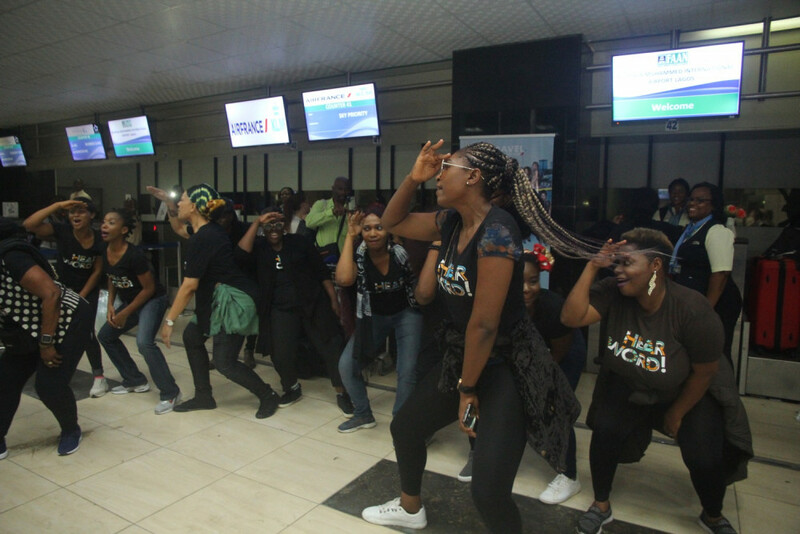 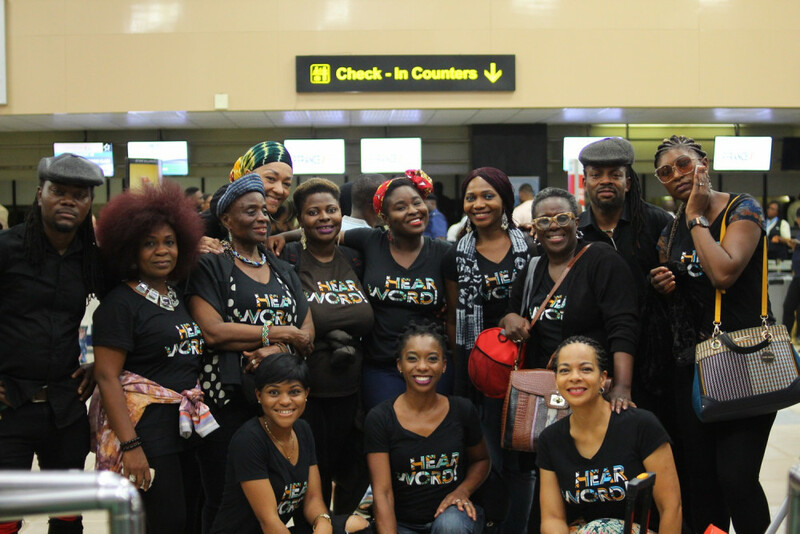 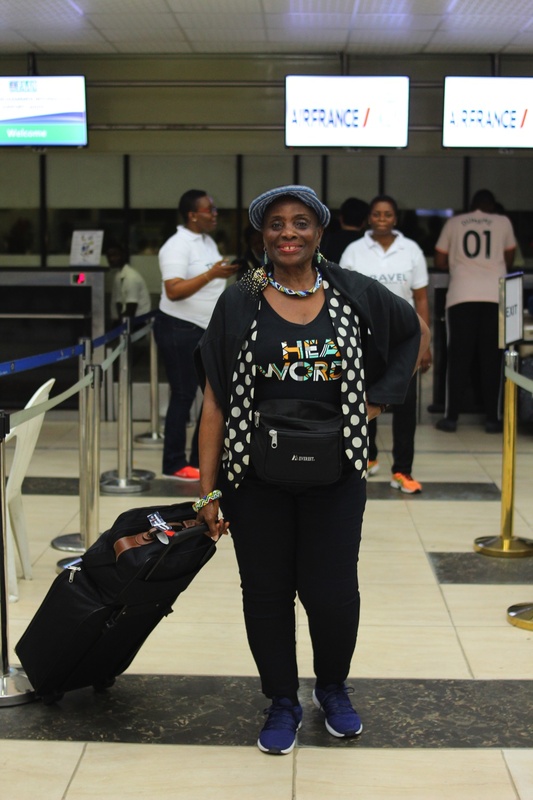 On the 31st of December, Air France hosted a surprise Meet & Greet with the cast of Hear Word stage play at the Murtala Muhammed International Airport. 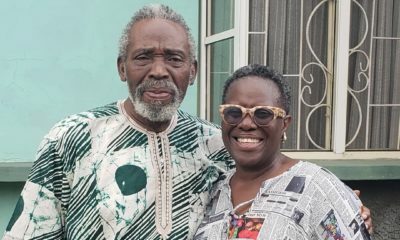 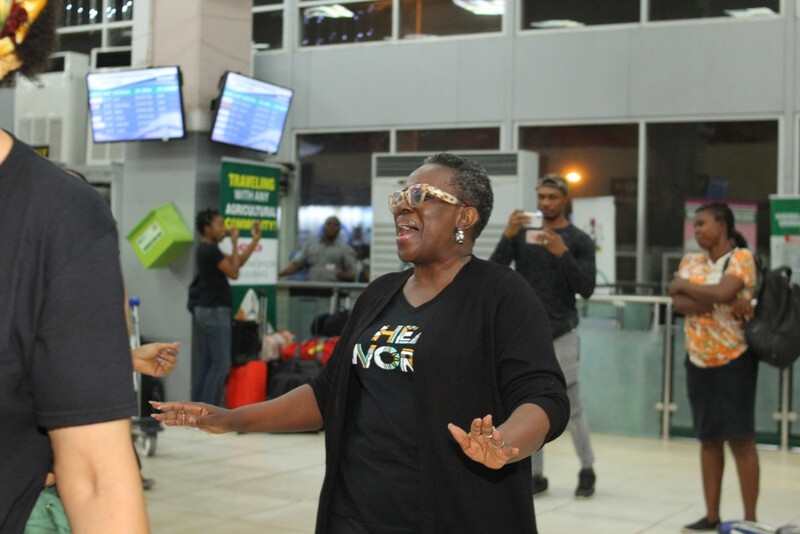 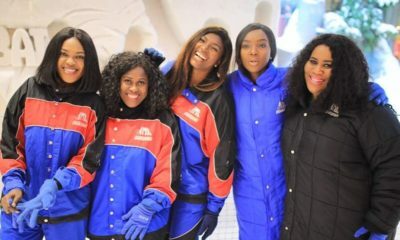 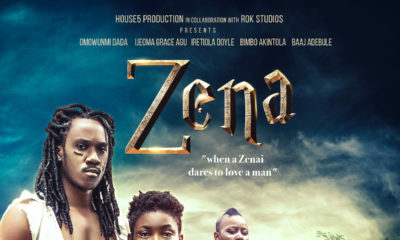 The cast members of the play which includes Nollywood veterans Taiwo Ajai-Lycett and Joke Silva, alongside other actors Ufuoma McDermott, Elvina Ibru, Odenike, Omonor, Zara Udofia-Ejoh, Rita Edward, Debbie Ohiri and Oluchi Odii, among others, started with a flashmob entertaining everyone at the terminal. 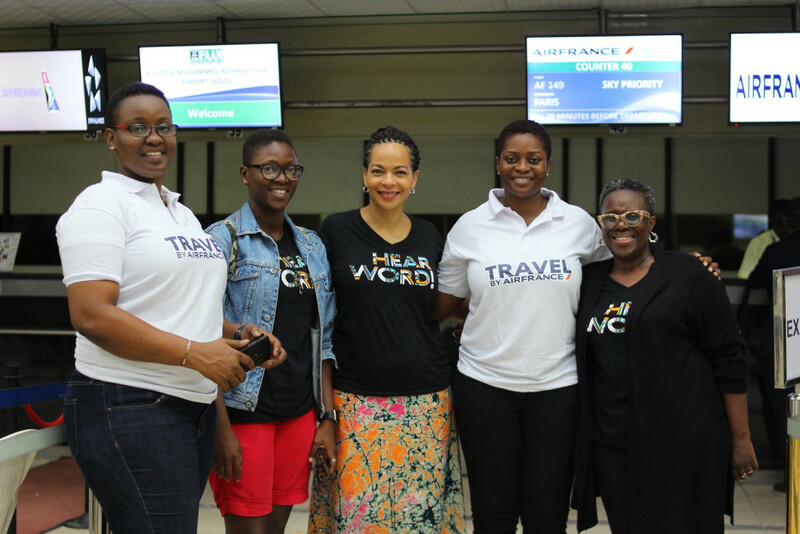 Afterwards, it was time for a photo session with the stars as well as the producer and director of the play Ifeoma Fafunwa, who are on their way to New York for the performance of the play.